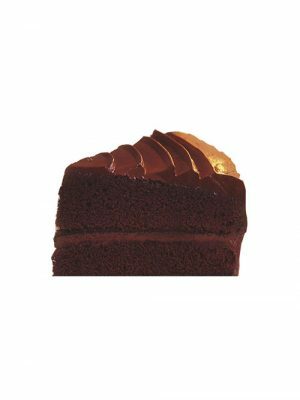 Two layers of moist chocolate cake. filled and coated with a rich fudge icing. 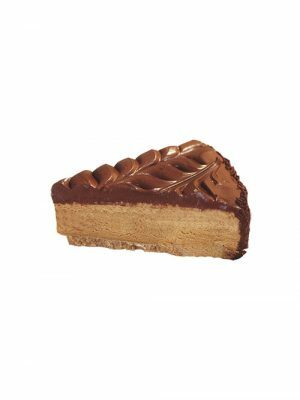 A light coffee mousse mounted on a biscuit base, crowned with feathered chocolate fudge icing, finished with chocolate vermicelli around the sides. 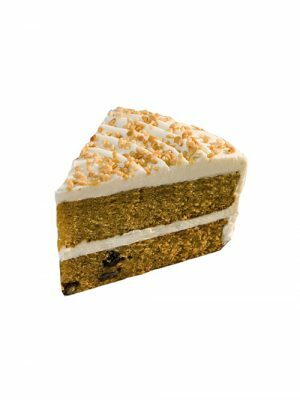 Two layers of carrot and walnut sponge, concealed with passion cream frosting. 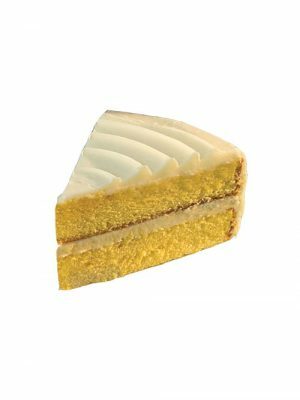 Lemon sponge separated with a thick lemon flavour filling, finished with a tangy lemon fudge icing. A light peppermint mousse on a biscuit base, coated with chocolate fudge icing, finished with feathered fudge icing and chocolate vermicelli around the sides. 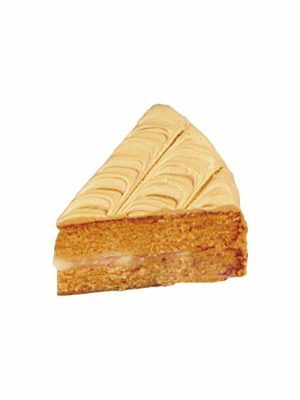 Two layers of toffee sponge separated with a diced apple filling, covered in a toffee fudge icing.